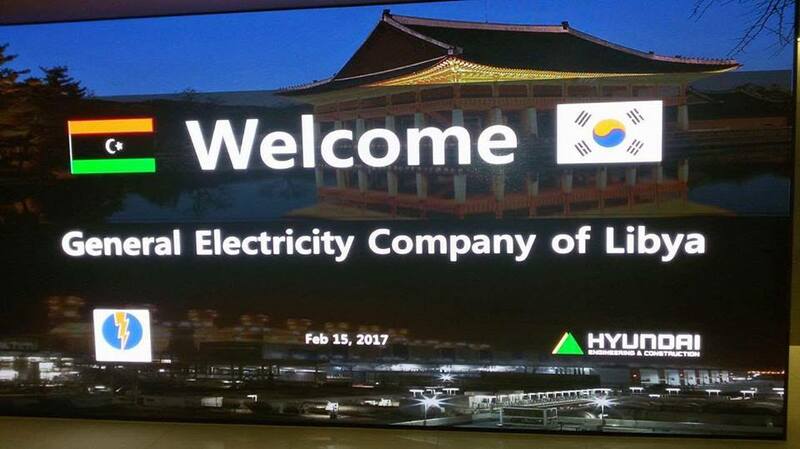 The Serraj-led PC/GNA is attempting to lure South Korean companies back to Libya in order to resume their stalled projects (Photo: GECOL). An official Libyan delegation representing the Serraj-led Presidency Council/Government of National Accord (PC/GNA) visited South Korea on Tuesday in an effort to persuade its authorities to permit their companies to return and resume their stalled projects in Libya. The Libyan delegation included the PC/GNA-recognized chairman of the General Electricity Company of Libya (GECOL), Abdulmajid Hamza, who met with South Korea’s Deputy Minister of Land, Infrastructure and Communications, Kim Kyung-Hwan as well as contracting companies. Hamza encouraged the South Koreans to resume their work in Libya in general, but more specifically resume work on the three power stations they are contracted for: Zuetina, Tripoli West and the Sirte Gulf stations. The discussions included security, legal and financial matters, as well as the Korean authorities lifting their current travel ban on their companies to Libya. GECOL reports that it has gained an agreement from the South Koreans to allow their companies to resume their stalled projects in Libya (Photo: GECOL). GECOL reports that its efforts were successful in persuading the Koreans to return and that the Deputy Minister undertook to lift the travel ban as soon as possible. A roadmap for the return of South Korean companies was also agreed upon at the meeting. No further details of this so-called roadmap were made available. 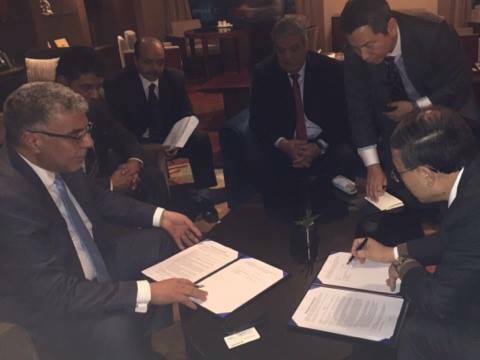 It is yet to be seen if this agreement materializes, but if it does, it would be a major boost to the Serraj-PC-GNA, if the Koreans can help increase Libya’s electricity generation capacity. If the agreement goes ahead, it would follow in the footsteps of the January agreement to get Turkish contractors Enka to resume work on the Obari power station.